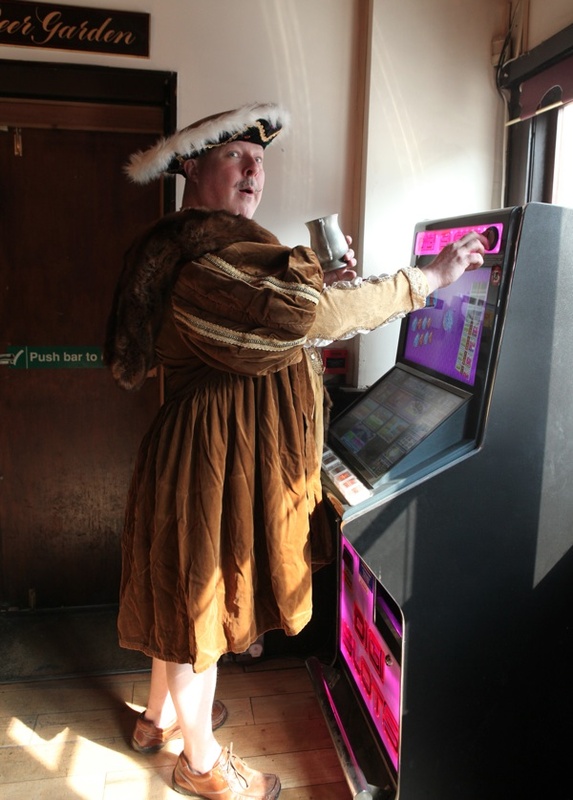 Henry VIII at the gaming machine – a rare image of this infamous monarch not recorded by Holbein yet a familiar sight in Whitechapel, where David Dobson landlord of The Blind Beggar delights to dress up in velvet robes and swan around like the ghost of the old king come back to haunt us. 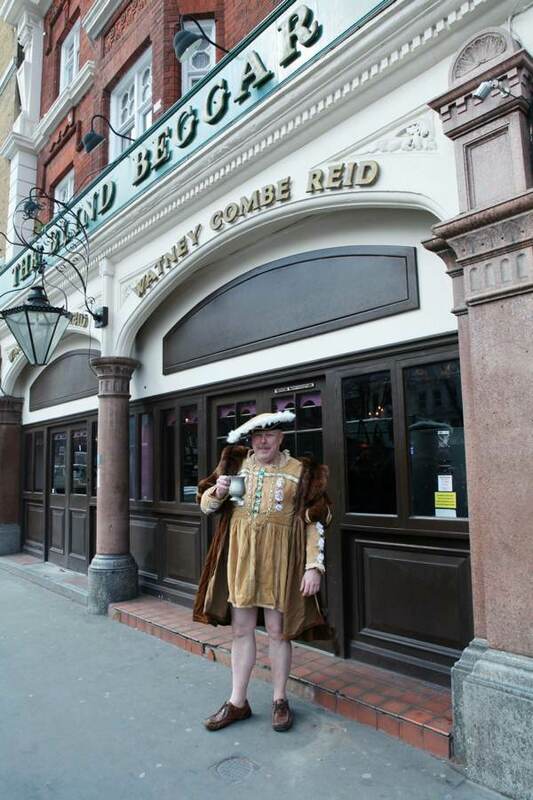 The particular blind beggar in question is Henry de Montfort who lost his sight at the Battle of Evesham in 1265 and became the subject of a Tudor ballad recounting the myth of his salvation by a young woman of Bethnal Green – where he ended his years begging at the crossroads, cared for by his only daughter. 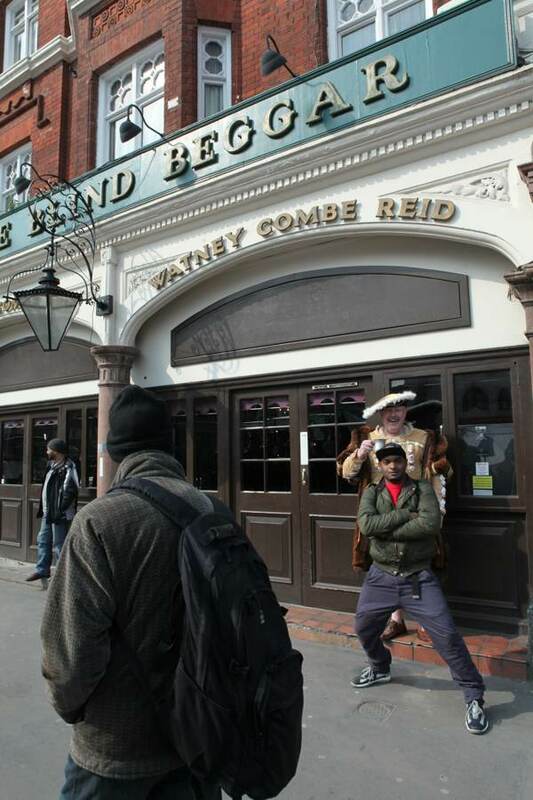 Subsequently, the image of the beggar and his daughter became the seal of the Metropolitan Borough of Bethnal Green in 1900 and adorns the inn sign of The Blind Beggar in Whitechapel today. 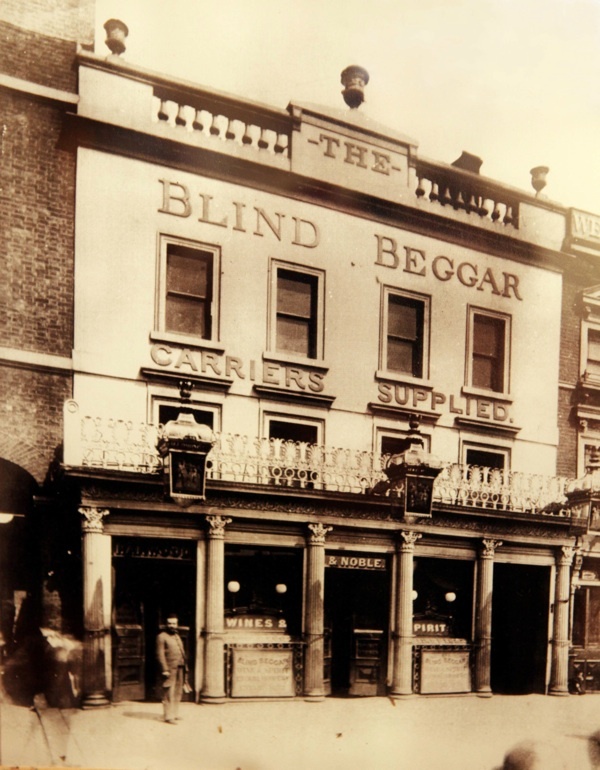 Paradoxically, The Blind Beggar has become a site of pilgrimage for the devout, seeking the location of the founding of the Salvation Army by William Booth, who started his independent mission by preaching outside in 1865. 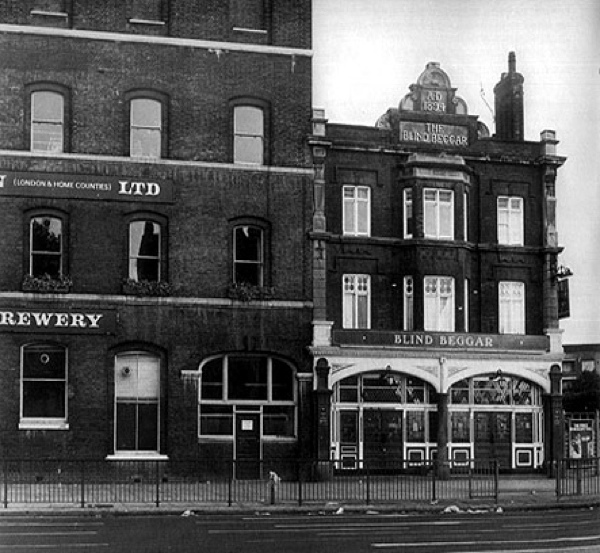 Converted to housing now, the former Albion Brewery stands next door towering over the pub that served as its tap room, until it closed in 1979. 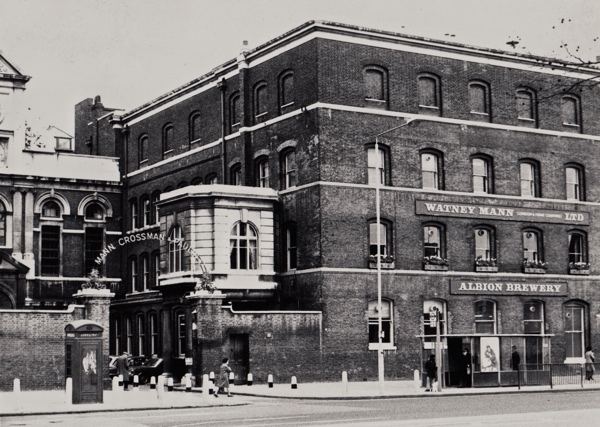 In 1808, it was the enterprising landlord of The Blind Beggar who bought the small brewery next door and named it the Albion Brewery, which grew to be the third largest in Britain by 1880 and, at the beginning of the twentieth century, the first Brown Ale was brewed here by Thomas Wells Thorpe. 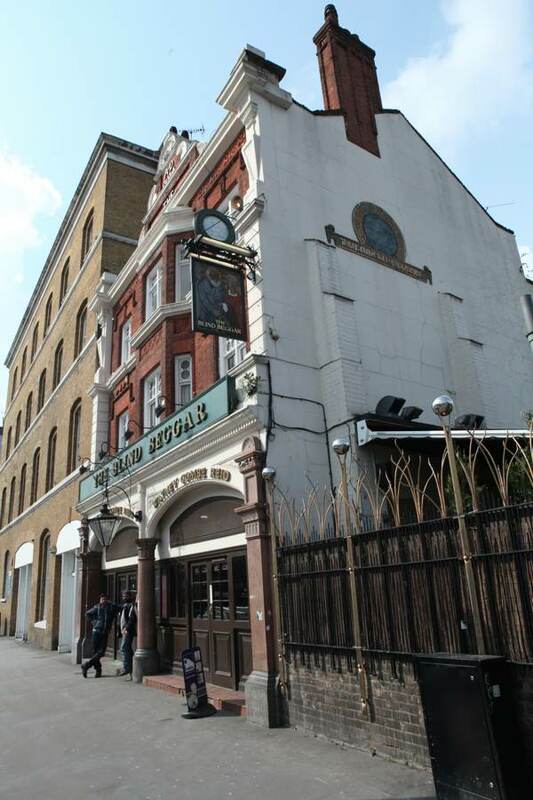 In 1904, ‘Bulldog’ Wallace, a member of The Blind Beggar Gang of pickpockets who frequented the pub, stabbed another man in the eye with an umbrella – initiating the notoriety that coloured the reputation of the pub in the twentieth century, which reached its nadir with the shooting of Georgie Cornell by Ronnie Kray in March 1966, as recounted to me by Billy Frost, the Kray Twins’ driver. 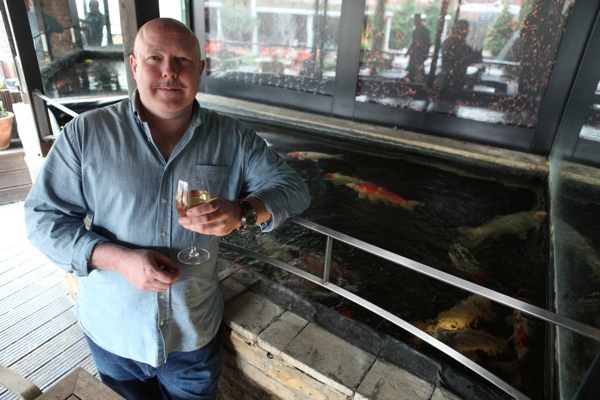 “We don’t glorify it, we want to be famous for other things,” admitted David Dobson when Photographer Colin O’Brien & I joined him for a jar last week. 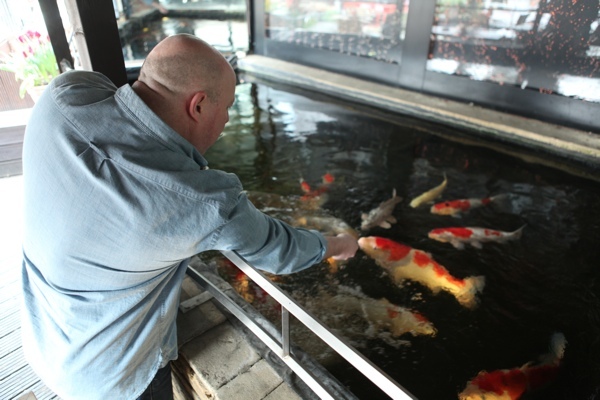 “For example, I’ve got the finest collection of Japanese Carp in the East End,” he assured me, as he led us into the garden and leaned over the vast tank full of fish, each as fat as my leg, so that his beloved charges might lift their heads from the water and permit him to stroke them affectionately under the chin. Love the puns of koi/carp and the habit! 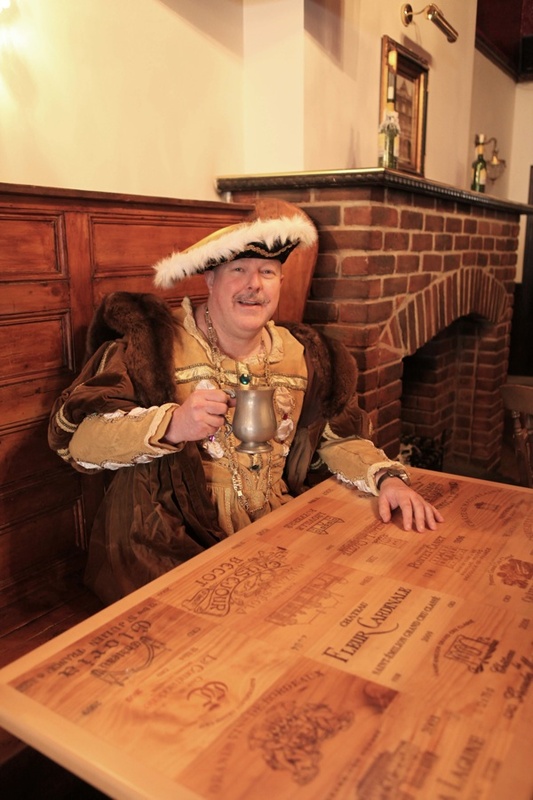 I have very fond memories of drinking in the garden of this pub on a (rare!) 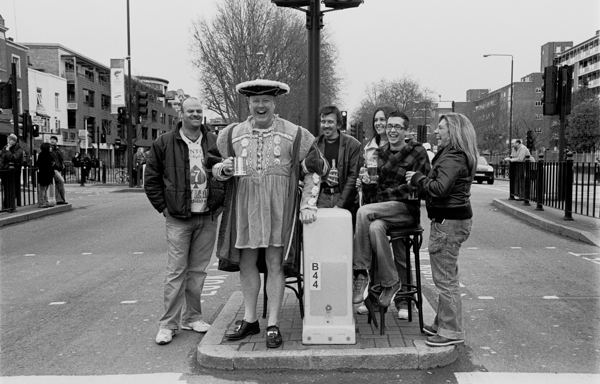 sunny afternoon back in 2008 when I used to live on Hackney Road. 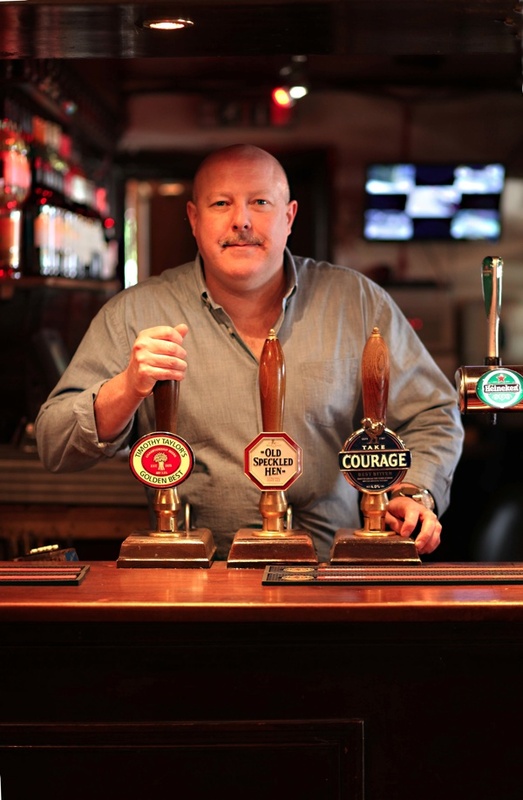 Great pub with lots of character – just like the owner it seems! Not too many places like that here in Australia. Would love to return for a pint one day! 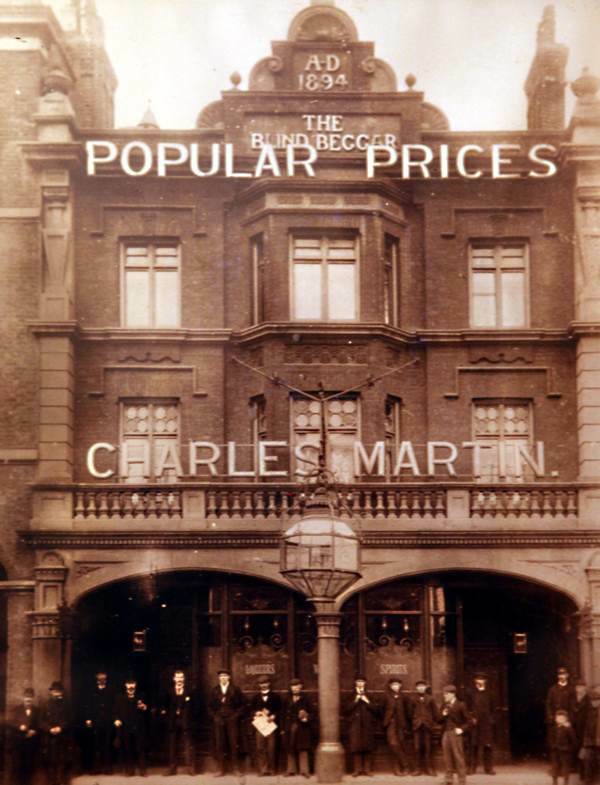 We really love your site, a good deal of it brings back memories of my teenage years the East End in the 1950′s and went to school at Christian St school then onto Davenant grammar school in Whitechapel Rd. For the past 20 years we have lived in Australia, my dad had the tobacconist shop at the end of Dock st , opposite London Dock where the 647 trolleybus’s turned around. My wife and I were married by Father Joe Williamson in St Paul’s church in Dock Street, next to the Seamans mission, which I believe no longer exists, I spent my post school years as a lighterman on the Thames, leaving upon seeing the light of the onslaught of containerised shipping and the consequenceal demise of the docks and river cargo. I have been looking forward to seeing any write up on that part of Stepney, (if it’s still called that), and incorporating Dockland, Wapping life, the infamous Cable St life etc.